"I was scared to come in with my current pregnancy complications, but I had amazing service from the time I walked in, until I left"
"Thanks for always being there for me, Dr. Gentner"
"Thank you Stephanie and Dr. Sanders! You're so patient with me! "Excellent appointment. I was called in at the appointment time, I had only a short wait to see the doctor--and the staff was very welcoming. 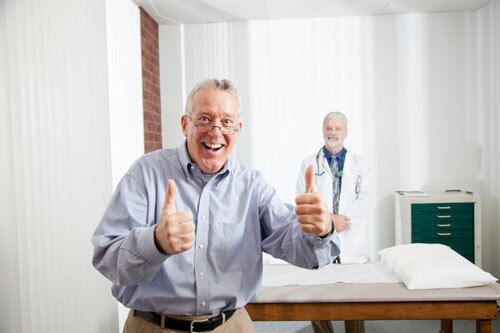 The doctor was knowledgeable and very helpful and listened." "Answered all my questions and very patient." "Very good as usual - also you go me in on very short notice." "Great! I like her - nice, informative." "Best people. Best care I have ever received." "He is an amazing doctor. Great with my daughter!" "Excellent' was seen promptly - very professional and concerned - explained everything. Thanks. Lots of smiling faces." "Pamela is so bubbly & cheery. It was great to see her today! I was having a bad day and she put a smile on my face." "Pam is very personable and effective. Asks good questions, very thorough and professional." "Dr. Riley and the entire staff here are amazing. Very quick appointment, great listeners and provide excellent service!" "Great service - Dr. Ricks is a special person, he take time and is very pleasant. Staff is very friendly." "Always happy with Dr. Sanders & Staff." "CMG - Dr. Sanders is the kindest, compassionate, knowledgeable physician. I have been seeing him for 15 years - believe me I know doctors, he is the very best." "Wonderful, Wonderful service today. Everybody was so helpful here at CMG!" "Dr. Elliott is simply the best - warm, welcoming and compassionate. It is so appreciated. Thanks to the great staff as well." "Had a good and informative doctor visit. A doctor who really cares, well worth the wait. Dr. Cara Fox I hope she is with this practice for a very long time." "What a breath of fresh air! Emilee was very caring and knowledgeable. We're hoping you make her a permanent part of your staff!" "Everyone is so kind to my grandson. Many thank yous!" "I really like Dr. Riley. He is very kind and through. Staff is great too!" "Had a great visit with Carla Farnworth, APRN and the staff Emmy and Christina were very helpful. Nice to know they are caring and willing to know my concerns. Thank you"
"This office is one of the best places I have ever received medical care. The staff is friendly and polite. Dr. Elliott is an amazing physician. I wouldn't want to see anyone else but someone from here!" "I loved the service here. Emilee is really nice and helpful and I feel like I can tell her anything." "Dr. Gunn & Dina are awesome. Love the office." "Everyone is amazing. Thank you for everything." "Dr. Papez is great. Staff was very accommodating and friendly." "I am always satisfied with everything here. We love Dr. Amrhein and Kim, her nurse. Everything is always professional." "I love the staff here. Dr. Papez is the best!" "Wonderful service - Dr. Papez and staff." "I love the office staff." "Friendly staff, professional, clinic is very clean, never had a problem." "Thank you for everything. My kids love you." "Great visit always is. Dr. Gunn is the best." "Dr. Papez put at ease from the time she entered the room to our leaving. She listened to all our concerns." "We love coming here to see Dr. Gunn. He is so good with her and the staff is always so pleasant!" "Dr. Smokey is amazing! She is kind, answers all questions and takes her time." "Excellent Service and speed today! All questioned answered." "We LOVE Rebecca and Jennifer. We couldn't ask for a better doctors...competent, professional, kind, and thorough! " "Amazing doctor and staff. We love this office. Everyone is always kind and helpful. Wonderful doctor for my kids. One on the way and will always see Dr. Gunn." "We love them all :-)"
"Great staff. Great nurse. Great doctor." "Dr. Hall & Dr. Smokey are the best!" "Excellent visit! From the front office staff welcoming us and the nurses checking our stats before the doctor came in we were treated wonderfully. Dr. Brian Hall has the best bedside manners, too!" "Dr. Smokey is amazing! She has been extremely helpful answering all questions we may have regarding our newborn." "Love Dr. Papez. She's awesome, very friendly environment." “Doctor and nurse were amazing."